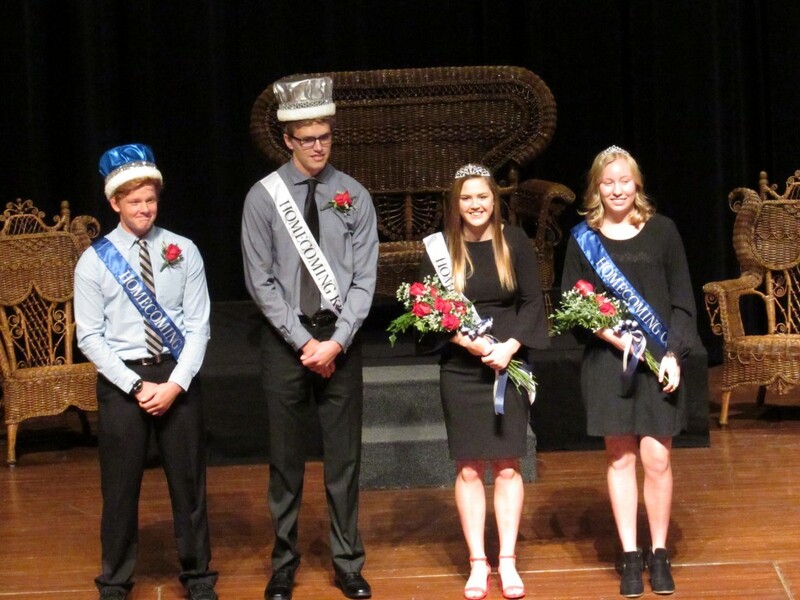 DASSEL, COKATO, MN – Dassel-Cokato High School students applauded as their 2018 homecoming royalty was announced Oct. 5: Paul Raisanen was elected king, Megan Nelson as queen, and Cade Anderson and Patricia Aho as first attendants. See more photos from homecoming week in the Oct. 12 edition of the Enterprise Dispatch. Cade Anderson was voted first attendant to the king, Paul Raisanen was voted homecoming king, Megan Nelson was voted homecoming queen, and Patricia Aho was voted first attendant to the queen.